Stephen Dixon is Professor of Contemporary Crafts at Manchester School of Art, investigating contemporary narratives in ceramics. 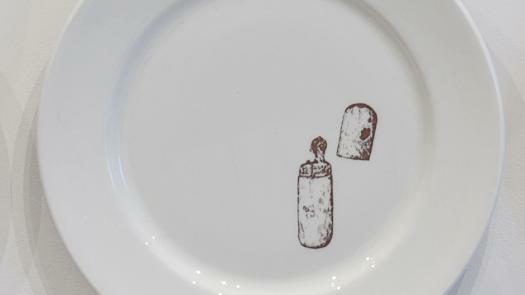 Specific research interests include the British satirical tradition (in both printmaking and ceramics), commemorative wares and ‘pop’ culture, and the development of socio-political narratives in contemporary ceramics. He is also Crafts Research Group Leader. His work features in numerous public and private collections, including the Museum of Arts & Design, New York, the British Council, the Crafts Council, the Victoria and Albert Museum, the Royal Museum of Scotland, and the Fine Arts Museum of San Francisco. Dixon studied Fine Art at the University of Newcastle-upon-Tyne, and Ceramics at the Royal College of Art, graduating in 1986. Early exhibitions in London with Contemporary Applied Arts and the Crafts Council established a reputation for ceramics with a biting political and social satire. Anatol Orient introduced Dixon’s figurative vessels to the U.S.A. in the early nineties, resulting in solo exhibitions at Pro-Art, St. Louis (1993) Garth Clark Gallery, New York (1995) and Nancy Margolis Gallery, New York (1998). Dixon's politically engaged ceramic practice was comprehensively surveyed in a major solo exhibition ‘The Sleep of Reason’, a twenty-year retrospective showcased at Manchester Art Gallery in 2005 and touring the U.K. from March to October of that year. In 2006 Dixon travelled to Australia to investigate the effects of dislocation on the creation of cultural artefacts, for 'Beyond the Seas', an AHRC funded practice-led research project. This experience provoked a shift away from the ceramic vessel as a vehicle for narrative, towards intervention and installation works such as 'Bush Pantry' (2007), 'Monopoly' (2009) and 'Letters From Tripoli' (2011). He was awarded the inaugural V&A ceramics studio residency in 2009, where he embarked on a new body of work exploring political portraiture. ('Restoration Series' 2011-2013). In 2000 he received an Arts Council Year of the Artist award for ‘Asylum’, a collaborative project with Amnesty International U.K. and Kosovan refugees. He curated the exhibition '200 Years: Slavery Now' in 2007, exploring issues of contemporary slavery in the year of the Bicentenary of the abolition of the slave trade. 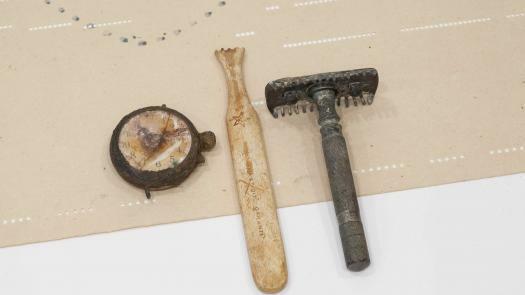 Recent public engagement projects 'Resonance','Resonate' and 'The Lost Boys' have examined commemoration and the material resonance of archives and objects. Professor Dixon was a Trustee of the Crafts Council from 2009 to 2013, and was a member of the Art and Design sub-panel for HEFCE REF 2014. 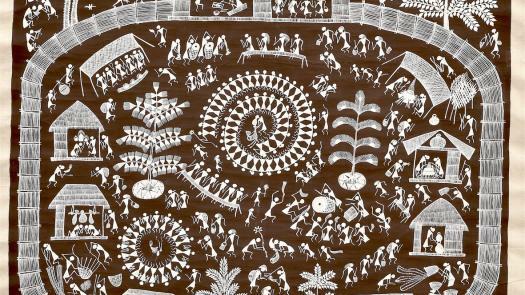 '200 Years: Slavery Now' 2007. The Lost Boys: Remembering the Boy Soldiers of the First World War. Dixon, S., Magee, J., 2017. Heart:beat, Bapugaon, Palghar District, Maharashtra, India.., 22/1/2017. Dixon, S., 2017. Passchendaele: Mud and Memory, The National Memorial Arboretum, Alrewas, 8/7/2017. Dixon, S., Welsh, A., 2017. Refuge: Ropner's Ghost Ship., Preston Park Museum, Teesside., 3/10/2017. Magee, J., 2017. WARLI HEART:BEAT, British Ceramics Biennial 2017, Potteries Museum Venue, Stoke-on-Trent, 23/1/2017. Dixon, S., 2016. The Lost Boys: Remembering the Boy Soldiers of the First World War., Manchester Metropolitan University Special Collections Gallery, 13/6/2016. Dixon, S., Magee, J., 2016. Things Just Happen Anyway (Soundscape and Film), Crafts Council Real to Real Film Festival, Picturehouse, London, 5/5/2016. Dixon, S. Scott, P. Brennand-Wood, M. Brownsword, N. Hodes, C. McNicholl, C. Slotte, C. Stofer, H. Sormin, L. Clarke, D. Nordli, I. de Vries, B., 2015. RE- reanimate, repair, meld and mend., Bluecoat Display Centre, Liverpool, October 9 to November 14. Dixon, S. Magee, J., 2015. Resonate, British Ceramics Biennial, September 26 to November 8, 2015. Dixon, S., 2014. Hidden Agenda - Socially Conscious Craft, Granary Gallery, Berwick-upon-Tweed, 22 March - 1 June 2014..
Dixon, S., 2014. Magic Mud: Masterworks in Clay, Racine Art Museum, Wisconsin, USA., 2 February - 4 May 2014. Dixon, S., 2014. Re: Collection, Museum of Arts and Design, New York, 1 April - 7 Septembe 2014. Dixon, S., 2014. Sculptural Forms: A Century of Experiment, Manchester Art Gallery, 15 February - 7 September 2014. Dixon, S., 2013. Cotton Exchange, Rajnagar Mill, Ahmedabad, India, 18 to 21 April 2013. Dixon, S., 2013. Excavate, British Ceramics Biennial, Stoke-on-Trent, 28 September - 10 November 2013. Dixon, S., 2013. Friendship Forged in Fire: British Ceramics in America, American Museum of Ceramic Art, Pomona, California, 9 February to 5 May 2013. Dixon, S., 2013. Janus, Peppercanister Gallery, Dublin, 18 January - 16 February 2013. Dixon, S., 2013. Print and Clay, ANCA Gallery, Canberra, Australia., 18-28 september 2013. Dixon, S., 2013. Restoration Series, Victoria & Albert Museum, London, 28 March 2013 to 27 March 2014. Dixon, S., 2013. Stories in the Making, Yorkshire Artspace, Sheffield, 31 January - 28 March 2013. Dixon, S., 2013. Subversive Design, Brighton Museum and Art Gallery, 12 October 2013 - 9 March 2014. Dixon, S., 2013. Top 10 at 10: Favorites from RAM's Collection., Racine Art Museum, Wisconsin, USA., 28 May - 6 October 2013. Dixon, S., 2013. Two of a Kind: Celebrating the Potters Art, Harris Museum and Art Gallery, Preston, 22 October 2013 - 22 March 2014. Dixon, S., 2012. Ceramics and Print in International Contemporary Ceramic Art, Ann Linnemann Studio Gallery, Copenhagen, October 29 to November 24 2012. Dixon, S., 2012. COLLECT 2012, Saatchi Gallery, London, 10-14 May 2012. Welsh A. Dixon S, 2012. Summer Exhibition, Contemporary Applied Arts, 27 July to 31 August 2013. Dixon, S., 2012. Tradition: Historic and Modern Pots, Gallery Oldham, 6 October 2012 - 11 May 2013. Dixon, S., 2011. British Ceramics Biennial Award exhibition, Potteries Museum and Art Gallery, Stoke-on-Trent, 30 September to 11 December 2011. Dixon, S., 2011. COLLECT, Saatchi Gallery, London, 5 to 9 May 2011. Broadhead, M., Dixon, S., Potter, L., Wilson, E., 2011. Memoranda, Crafts Study Centre, Farnham, 26 july to 1 October 2011. Dixon, S. and 98 British ceramic artists., 2010. Contemporary British Studio Ceramics: The Grainer Collection, Mint Museum of Craft and Design, Charlotte, North Carolina, USA, 1 October 2010 to 13 March 2011. 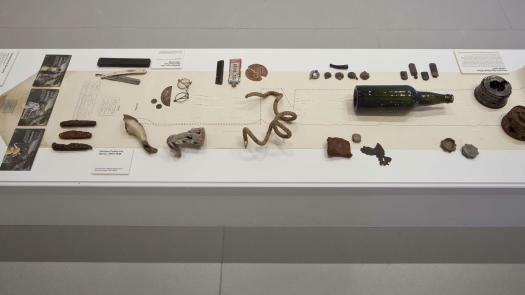 Dixon, S. and 26 artists, including Hatoum, M., Atkinson, T.,Moore, H., Piper, J., Sandle, M., Head, T., 2010. Fall Out; War and Conflict in the British Council Collection, Whitechapel Gallery, London, 26 March to 30 May 2010. Clare, C., Dixon, S., Lewis, P., Scott, P., Summers, E., 2010. Fired Up: Ceramics and Meaning, Gallery Oldham, 17 July to 14 November 2010. Welsh A, 2009. Armchair Politico. The Schiffli Project, Bury St Edmonds Art Gallery, 2009. Dixon, S., Bugg, R., 2008. 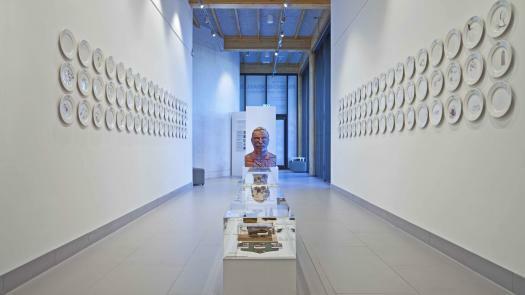 Brit by Brit: Contemporary British Ceramics, Robert Morris University Gallery, Pittsburgh, USA., 19 March to 19 April. Dixon, S., 2008. Embedded Narratives, THE LOFT, Mumbai, India, 18 to 30 September 2008. Dixon, S., Webb, J., 2008. Meeting in the Middle, Alsager Arts Centre, 1 to 29 March. Dixon, S., 2008. Permanently MAD: revealing the collection, Museum of Arts and Design, New York, USA., 27 Sept 08 to 15 Feb 09. Dixon, S., 2008. You'll Never Walk Alone., National Craft Gallery, Kilkenny, Ireland., 8 March to 27 April. Dixon, S., 2007. The Diane and Sandy Besser Collection: A Gift to the Fine Arts Museums of San Francisco., The de Young Museum, San Francisco, USA., 27 October 2007 to 13 January 2008. Dixon, S., 2006. Ceramique Contemporaine Biennale Internationale., Musee Magnelli, Vallauris, France., 1 July to 20 November 2006. Dixon, S., Isupov, S. and Scott, P., 2006. Surface Tension, The Jam Factory, Adelaide, Australia., 25 March to 29 May. Dixon, S., 2005. The Sleep of Reason, Manchester Art Gallery, 5 March to 30 May 2005. Dixon, S., 2004. 21 Countries, Imperial War Museum North, 21 February 2004 to 31 May 2004. Dixon, S., 2004. British Ceramic Masterworks, Ceramics Research Center, Arizona State University Art Museum, 25 June 2004 to 25 September 2004. Dixon, S., 2004. Go Figure, Clay Gallery, Venice, California, September 2004. Dixon, S., 2004. Savage Indignation, Contemporary Applied Arts, London, 17 September 2004 to 30 October 2004. Dixon, S., Sashida, T., 2003. 03 Ceramics Exhibition, Gallery Ten, Daimaru, Tokyo, 20 october 2003 to 26 October 2003. Dixon, S., 2003. Shared Passion, Ceramic Research Center, Arizona State University Art Museum., 8 February 2003 to 18 May 2003. Dixon, S., 2003. Tea, Anyone?, Racine Art Museum, Wisconsin, U.S.A., 14 September 2003 to 18 January 2004. Dixon, S., 2003. Tell Tale: Narratives in contemporary craft, Shipley Art Gallery, Gateshead, 19 September 2003 to 2 November 2003. Dixon, S., 2002. 16/16, The Scottish Gallery, Edinburgh, 4 May 2002 to 5 June 2002. Dixon, S., 2002. Containing Ceramics: Highlights from the British Crafts Council Collection, SOFA, Navy Pier, Chicago, 24 October to 27 October. Dixon, S., 2001. British Studio Ceramics: Works from the New Millenium, Philadelphia Clay Studio, U.S.A., 1 June 2001 to 24 June 2001. Dixon, S., 2001. Engelsk keramik, Galleri Norby, Copenhagen., 28 April 2001 to 12 may 2001. Dixon, S., 2001. Figurative Ceramics, Crafts Council at the V & A, 20 September 2001 to 4 November 2001. Dixon, S., 2001. Home Sweet Home, Kulturhuset, Stockholm (and touring), 23rd February 2001 to 15 April 2001. Dixon, S., 2013. 'Restoration Series', Manchester Metropolitan University. Dixon, S., 2012. 'Clocking On', Site specific installation piece., Queen Street Mill, Burnley, Lancashire., May - August 2012. Dixon, S., 2012. 'Clocking On', Manchester Metropolitan University. Dixon, S., 2012. 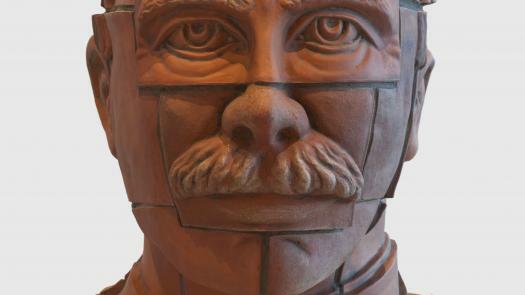 'Restoration 2 (Lui Xiaobo)', Ceramic portrait bust., COLLECT 2012, Saatchi Gallery, London., 11-14 may 2012. Dixon, S., 2011. 'Letters from Tripoli', Manchester Metropolitan University. Dixon, S., 2011. 'Letters From Tripoli. ', Archival cabinet containing fragments of a fictionalised narrative., Crafts Study Centre, UCA, Farnham., 26 July to 1 October 2011..
Dixon, S., 2011. 'Restoration (Aung San Suu Kyi)', Ceramic portrait head., COLLECT 2011, Saatchi Gallery, London., 6-9 May 2011..
Dixon, S., 2010. 'Hero', Manchester Metropolitan University. Dixon, S., 2010. 'Hero. 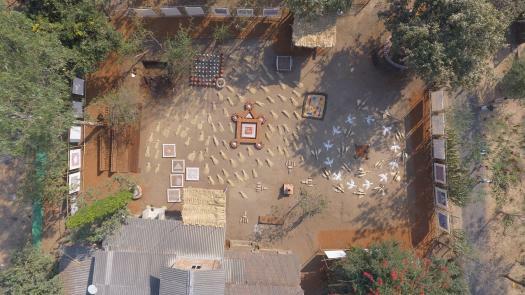 ', Indian bicycle with floral ceramic interventions., Ahmedabad International Arts Festival., 29-31 October 2010..
Dixon, S., 2009. 'Monopoly', Ceramic battleship sculpture, Gladstone Pottery Museum, as part of the British Ceramics Biennial 2009., 3 October to 13 December 2009..
Dixon, S., 2009. 'Monopoly', Manchester Metropolitan University. Dixon, S., 2009. 'Traveller's Tales', Manchester Metropolitan University. Dixon, S., 2011. 'Stephen Dixon'. In Peters, T. and West, J. (eds.) Memoranda, 36-43, Luminous Books, London..
Dixon, S and 37 international ceramic artists, 2009. 'Stephen Dixon'. In Hemachandra, R., Ostermann, M. (eds.) Masters: Earthenware, 38 chapters, with artists contributions., 282-289, Lark Books, U.S.A..
Dixon, S., 2014. 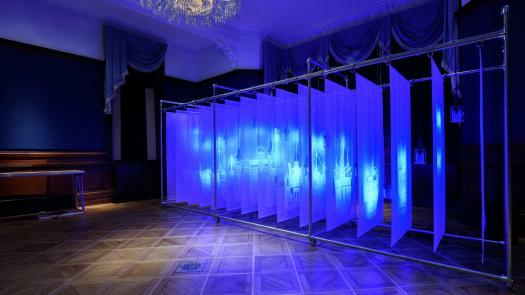 'Fragments and Narratives: reflections on a residency at the V&A. ', Ceramics in the Expanded Field: behind the scenes at the museum., www.ceramics-in-the-expanded-field.com. Lloyd-Jones, T., 2013. 'Peace Talks', CRAFTS, No 242, May/June 2013, 42-45. Mitchell, L., 2012. 'Material Memory', Ceramic Review, issue 257, 42-47. Theophilus, J., 2009. 'Guerrilla Ceramics', Art and Architecture Journal, issue 68. Amadei, G.L., 2009. 'Produce', Blueprint, issue 284, 73-78. Dixon, S., 2005. 'Narrativ Keramikk', Kunsthandverk, Issue 2, 2005, No. 96, 22-25. Dixon, S., 2005. 'The Sleep of Reason', Ceramics: Art and Perception, Issue 59 March 2005, 70-73. Dixon, S., 2004. 'Ceramics of Substance', Ceramics in Society, Issue 57 2004 Series, 4-5. Dixon, S., Welsh, A., 2018. 'Refuge: Ropner's Ghost Ship: engaging with contemporary issues in the site-specific context of the museum', Manchester School of Art. Manchester Metropolitan University, 12/4/2018 - 13/4/2018. Dixon, S., 2013. 'Ceramics and Political Narrative. ', Aberystwyth International Ceramics Festival, Aberystwyth University, 28-30 June 2013. Dixon, S., 2013. 'Ceramics, Print and Narrative', 2nd Print and Clay Symposium, Australian National University, Canberra., 7-8 September 2013. Dixon, S., 2013. 'Manchesters United: Transnational Dialogues in Contemporary Crafts', 2nd CARPE Conference, M.M.U., 4-6 November 2013, in CARPE website. Dixon, S., 2013. 'The Ceramic Chimera', Between Studio and Factory, British ceramics Biennial, Spode factory site, Stoke-on-Trent, 17-18 October 2013. Dixon, S., 2012. 'Ceramics, Print and Narrative. ', Ceramics and Print conference., Guldagergaard International Ceramics Research Centre, Denmark., 26-27 October 2012..
Dixon, S., 2012. 'Crafting the Contemporary', The Disruptive Difference: Transnational Craft Dialogues, School of Museum Studies, Leicester University, 17 February 2012. Dixon, S., 2012. 'Differing approaches to artistic research', Agenda conference, KHIO (Oslo National Academy of the Arts), 2 November 2012. Dixon, S., 2012. 'Why Clay? ', Ceramics and Sculpture: Different Disciplines and Shared Concerns, National Museum Wales, Cardiff, 5 July 2012, in Interpreting Ceramics, online journal, issue 14. O'Neill, C. J., Dixon, Stephen, 2010. 'collaboration within manchester school of art', collaboration - research in ceramics now, University of Westminster, 23rd June 2010. Dixon, S., 2010. 'The Artist as Exhibit', Ceramics on Show: Public and Private Displays., V&A London., 24 to 25 September 2010..
Dixon, S., 2009. 'Guerrilla Ceramics: the Monopoly project', Ceramic City - Design for Public Space, Potteries Museum and Art Gallery, Stoke-on-Trent, 9-10 October 2009. Dixon, S., Sokolowski, T., Bugg, R. and Nichols, S., 2008. 'Ceramics - Breaking the Mold? ', CONFLUENCE: Innovation, Community, Environment, the 42nd Annual Conference of NCECA (National Council on Education for the Ceramic Arts), David L. Lawrence Conference Centre, Pittsburgh, PA, USA., March 19 to march 22., in NCECA website: www.nceca.net. Dixon, S., 2007. '200 Years: Slavery Now', The Gardner-Medwin Lecture, Bluecoat Display Centre, Liverpool, 15 November. Dixon, S., 2007. 'Beyond the Seas', HAT project conference, Sanskriti, New Delhi, India, 25 to 30 March, in HAT website www.hat.mmu.ac.uk. Dixon, S., 2004. 'Reflections on Beauty: polarities,dualities, contexts and perspectives', Thoughts on Beauty, Royal Academy of Fine Arts, Stockholm, 25 november 2004 to 27 November 2004, in The Impossible Fridge, Thoughts on Beauty, Craft and Art. Dixon, S., 2003. 'Mind and Material: Contemporary British Ceramics', The Current Situation of the Craft Arts in Japan and Britain, The Japan Foundation, Kyoto, 4 April 2003. Dixon, S., 2010. 'Contemporary British Studio Ceramics: The Grainer Collection', Work featured in the exhibition publication (book) Annie Carlano (ed.) Yale University Press. Dixon, S., Buchler, P., 2001. 'But is it Craft? ', An exhibition questioning the boundaries and public perception of 'craft', curated by Stephen Dixon and Pavel Buchler..
Dixon, S., 2001. 'Form and Transfer', An exhibition of contemporary printed ceramics, curated by Stephen Dixon..
Dixon, S., 2001. 'The Fired Print: Contemporary Approaches to Printed Studio Ceramics', An educational slide set with accompanying text, published by Manchester Metropolitan university, 2001 (ISBN 1861320787).